Put your Hans together – the first full teaser trailer for the new Han Solo origin movie has dropped. 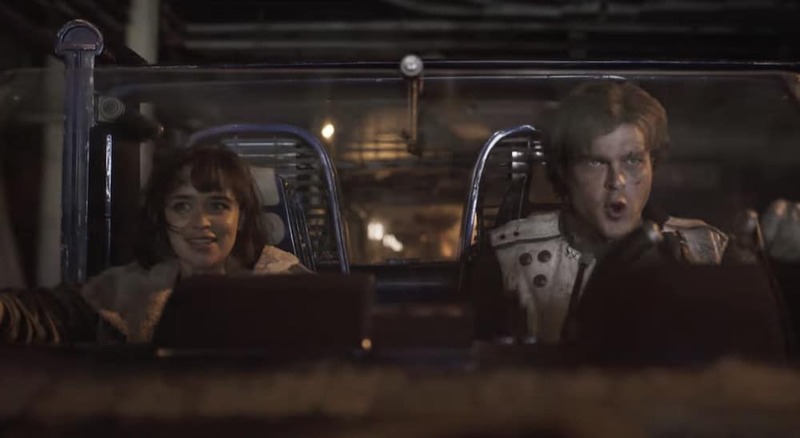 The teaser for the upcoming, off-trilogy Star Wars movie was itself teased during last night’s Super Bowl, and the full version has just dropped. The film, set for release in May 2018, stars Alden Ehrenreich as a young Han Solo, Woody Harrelson, Game of Thrones’ Emilia Clarke, Donald Glover, Thandie Newton, Phoebe Waller-Bridge of Fleabag fame, Joonas Suotamo and Paul Bettany. The production has been somewhat troubled: producers replaced the original directors with just a few weeks of filming to go; the new director, Ron Howard, re-shot extensive parts of the film; and there were reports that an acting coach had been brought on to work on Alden’s title-role performance. Prefer some all-encompassing dread? Check out the trailer for the shattering horror flick Hereditary.